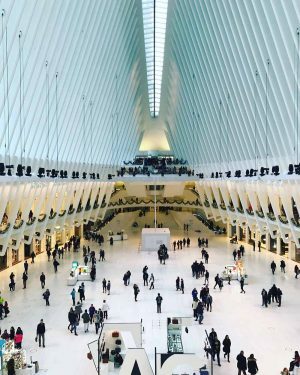 The Oculus, one of New York’s latest landmarks now houses the fifth brick and mortar location of luxury handbag authority Rebag. The third store site in Manhattan, the Oculus location will service shoppers in the thriving Financial District. Rebag Westfield World Trade Center marks the company’s first retail space within a mall. Like its sister stores in Soho and Madison Avenue, this location also features the popular Rebag Bar and quintessential Hermès Birkin Wall, the two staples of each Rebag boutique. The Oculus location offers the same transparency, flexibility, and personalized services that Rebag has become synonymous with. Customers can shop the entire online and in-store collections, sell a bag within 60 minutes, or exchange a previous purchase for at least 70% of the original price via Rebag Infinity. The newest store marks the fifth physical location and caps a year of tremendous growth for the brand. Rebag also becomes the first luxury reseller to open a permanent location in a tier 1 US mall, opening alongside luxury retailers including Dior Beauty, Breitling and more. Sitting adjacent to fellow digitally native brand Casper and across from the Apple Store, the latest handbag heaven is an artful space haloed in the company’s signature pastel yellow, with an illuminated Rebag emblem welcoming shoppers. For shoppers living in Los Angeles, Rebag has a boutique in Beverly Hills and Melrose Place neighborhoods. For shoppers not located in New York or Los Angeles, Rebag is accessible through its mobile app and rebag.com. Rebag offers a unique process that provides payment for bags accepted within 1 – 2 business days for online transactions and in less than 60 minutes in stores. For more store information, visit rebag.com.